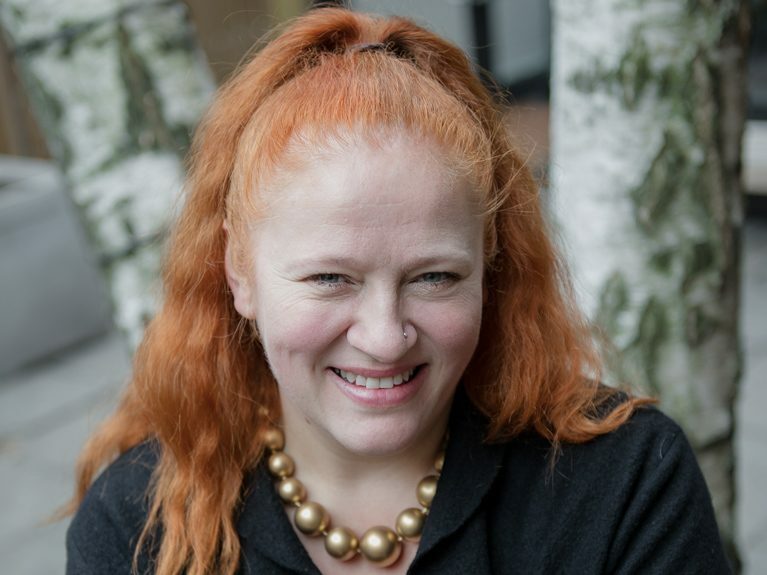 Izabela Wojcik is the Director of House Programming for the James Beard Foundation, a national non-profit organization dedicated to celebrating, nurturing, and honoring America’s diverse culinary heritage and future through programs that educate and inspire. In her role as chef wrangler, Izabela organizes more than 200 culinary events each year at the historic James Beard House in Greenwich Village, the former home of the “Dean of American cookery”. She is a frequent moderator and guest judge for various culinary events, including the Great American Seafood Cook-Off in New Orleans, Cochon 555 in NYC, Chefs’ Holidays at Yosemite National Park, Nickel City Chef competition in Buffalo, and the International Tapas and Pinchos Competition in Valladolid, Spain. She has been a guest host on Taste Matters, an online program hosted by Heritage Radio Network. Wojcik (pronounced whoa-chick) acts as the liaison between the James Beard Foundation and the U.S. Department of State’s Diplomatic Culinary Partnership. She is also a member of the Kitchen Cabinet, the advisory board to the Smithsonian’s National Museum of American History. In her daily context, Wojcik engages food professionals in dialogue concerning trends in fine dining, food preparation and ingredients, the latest in restaurant equipment and technology, as well as local/global, seasonal/sustainable, and health/nutrition issues. Wojcik holds a B.S. from Cornell University School of Hotel Administration, and currently resides in Brooklyn with her husband and son. I am a tenured Associate Professor of Mathematics; beginning my 18th year at Stetson University in August 2017. In this document, I present a sample of my experience with food-related issues and practice from a professional standpoint. In 2004, after being granted tenure, I embarked on a second professional journey in addition to my full-time position in the Mathematics and Computer Science department. I enrolled full-time in the evening program at Le Cordon Blue College of Culinary Arts in Orlando to pursue a second career. I graduated at the top of my class in culinary school within a year and after some part time cooking jobs during the following summers (when I was away from Stetson University), opened a “farm to table” restaurant with my wife who is a sommelier and podiatric surgeon with her own private practice, featuring local and thoughtful ingredients via globally inspired dishes. 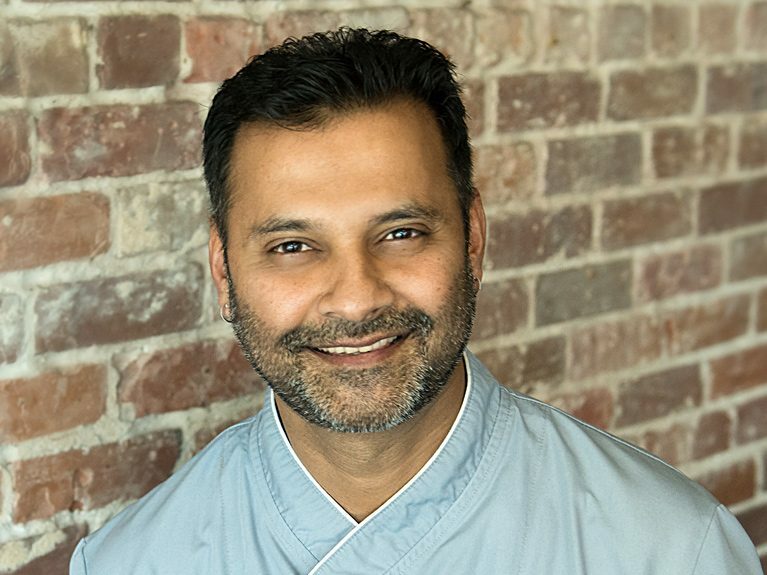 I am a hands-on chef who actually cooks on the line every night we are open, but equally importantly, I bring an academic perspective to all aspects our business. We support local farmers, are mindful of our energy and water consumption, maintain an active food-waste repurposing program, and give back enthusiastically to our community and a variety of causes which align with our personal and business philosophies. Opening an upscale restaurant in a town with no history of it during the toughest economic times of our lifetime was a risky proposition by most measures, but my vision, drive, passion, and work ethic are unwavering. For eight years, we have been a mainstay in Downton DeLand and remain a draw for many first time and returning visitors to DeLand. No pain no gain, they say. I am excited at the prospect of leading and growing a “food studies and sustainability” program at Stetson University. Ultimately, my goal is to inspire and nurture individuals who will grow from their experience in academia into the thought leaders and problem solvers of tomorrow. Food is a great equalizer and my hope is that through experiential learning and thinking, students in the food studies program at Stetson University will shape and improve all aspects of local, regional, national, and even international food systems. Growing up on the north shore of O’ahu on a makeshift farm enabled me to learn about where food came from and the important process of how it, whether produce or protein, made it from the “farm” to the “table.” For many years, in our modern society, that process is often overlooked if not ignored. There has been a sort of “renaissance” of awareness and acknowledgement for the need of food sustainability. 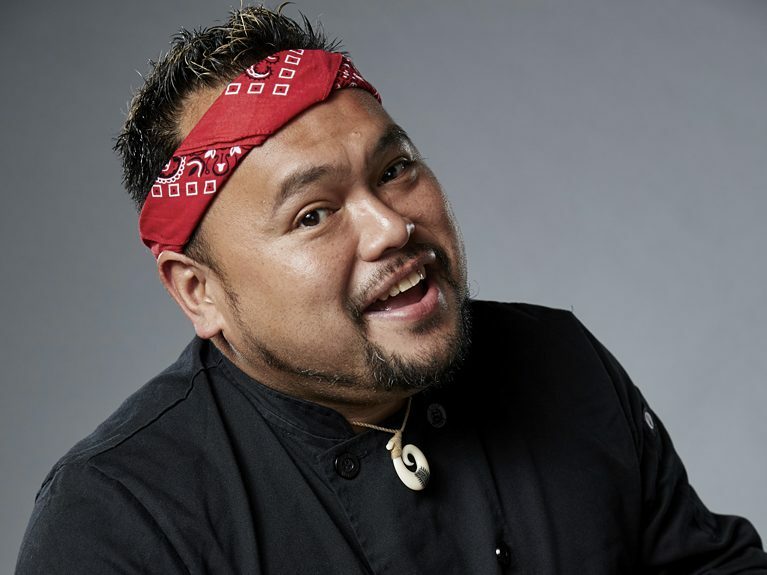 As the Executive Chef and part-owner of Uncle’s Hawaiian Grindz in the rural Harford County of Maryland, promoting the “farm to table” concept is not only important to me personally, but has also become an integral part of the success we have found in our community. Proudly supporting our area farms, with nearly 90% of our produce sourced within 100 miles, the surrounding towns have been responsive and equally supportive in our efforts. While our cuisine is primarily modern Hawaiian, our commitment to local farmers goes beyond those boundaries. For example, we purchase beets, green tomatoes, soft shell crabs and turmeric from surrounding farms even though these are not typical ingredients found in Hawaiian cooking. We infuse them into our dishes in creative ways to adhere to the integrity of our food style while living the commitment of our food philosophy. Certified Executive Pastry Chef, Author and North American Representative for Women in WACS (World Association of Chefs Society)–Kimberly Brock Brown continues to transcend her role as Chef to the Food and Beverage industry–changing lives of many beyond the kitchen. She has received the American Culinary Federation’s Lifetime Professional Membership and has been recognized as Charleston, South Carolina’s Chef of the Year. 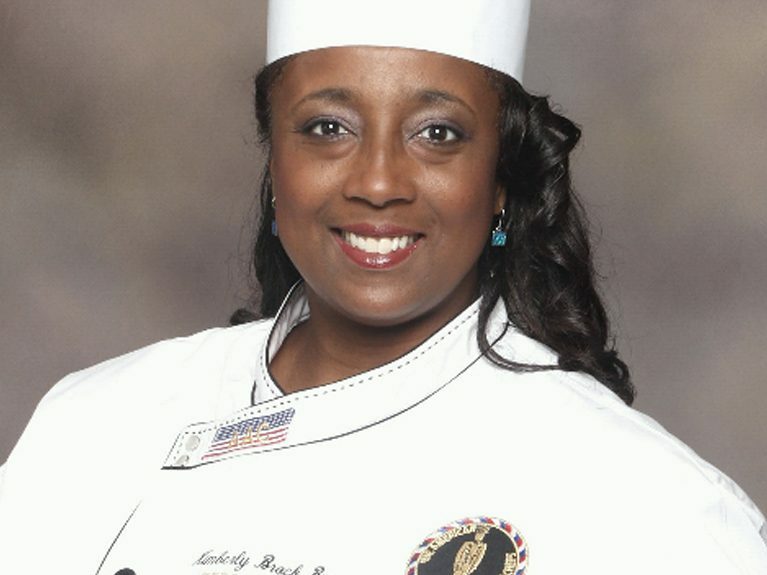 She is currently one of ten, Approved Culinary Examiners (ACE) in the Charleston, SC area and became the first African-American woman inducted into the American Academy of Chefs (AAC) in 2003. Other awards include Silver & Bronze ACF Competition Medals, ACF’s Cutting Edge Award & the AAC’s Service Award. As a 20+ years Certified Executive Pastry Chef (CEPC) at some of the South’s great hotels- Charleston Place, Grove Park Inn, Hyatt Regency Hilton Head, Chef Kimberly has gained key insights on the production of pastry and desserts for the discriminating palates. Staying active in her local ACF Chapter, Chef Kimberly has been elected as Chapter President for 2 terms, Vice President, Secretary and Board Member. Chapter committee Chair appointments include Certification, Bylaws and AAC. In addition Chef Kimberly has served on the National Seal Of Approval Committee, SE Regional AAC Director for 2 terms, and is currently serving her 2nd elected term as the SE Ethics Committee Representative. As an ACF Chef’s Apprentice Graduate 1984 of the TCA-Dallas Chapter, Chef Kimberly has maintained her ACF activities by helping her chapter to host ACF Regional Conferences in Asheville & Charleston. As well as providing demonstrations for local, regional and national ACF meetings, conferences and conventions. Megan Brummer started her career as a social worker and public health professional. But after several years of working with kids, while joyfully exploring nutritious cooking at home, she decided that her true passion was in merging the two. 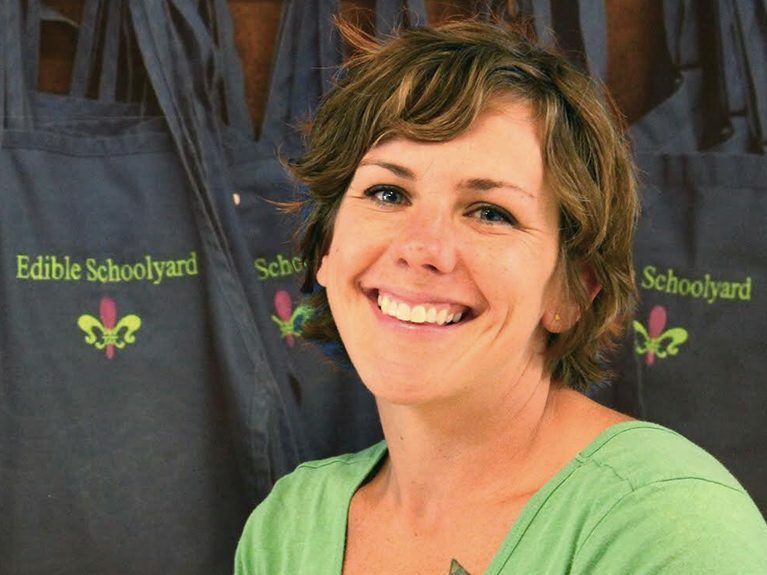 Returning to New Orleans seven years after evacuating for Hurricane Katrina, she discovered the Edible Schoolyard New Orleans, an agency whose mission of teaching children to make healthy connections through food aligned perfectly with her own. She started as a volunteer, watering school gardens over the summer, and worked her way up through the roles of intern, fellow, substitute, associate, and now Lead Chef Educator at Samuel J. Green Charter School. She hopes to instill a love of good food in her students, through engaging curriculum, fun special events, and exciting collaborations with culinary-minded community partners.